This engine, which comes alive when people watch physical events unfold, is not in the brain’s vision center, but in a set of regions devoted to planning actions, suggesting the brain performs constant, real-time physics calculations so people are ready to catch, dodge, hoist — any necessary actions on the fly. The findings, which could help design more nimble robots, are set to be published in the journal Proceedings of the National Academy of Sciences. Brain_side_view_wireframeFischer, along with researchers at Massachusetts Institute of Technology, conducted a series of experiments to find the parts of the brain involved in physical inference. First they had 12 subjects look at videos of Jenga-style block towers. While monitoring their brain activity, the team asked the subjects to either guess where the blocks would land should the tower topple, or if the tower had more blue or yellow blocks. Predicting the direction of falling blocks involved physics intuition, while the color question was merely visual. Next the team had other subjects watch a video of two dots bouncing around a screen. They asked subjects to predict the next direction the dots would head, based either on physics or social reasoning. 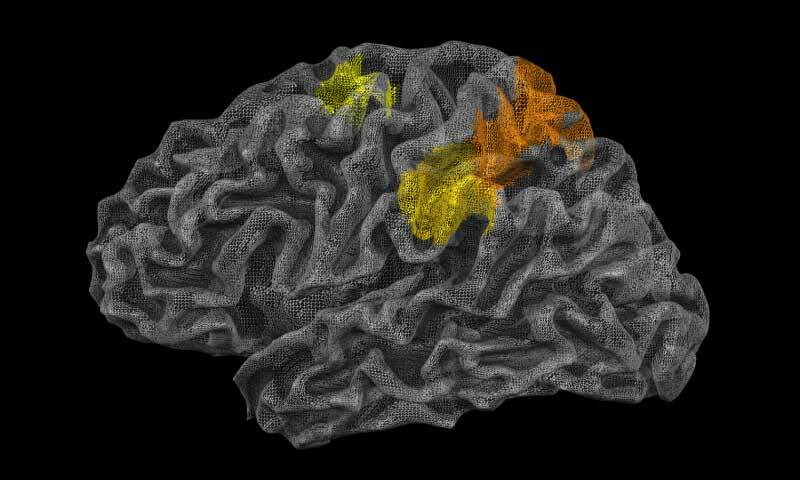 The team found that with both the blocks and dots, when subjects attempted to predict physical outcomes, the most responsive brain regions included the premotor cortex and the supplementary motor area – the brain’s action planning areas. In the last part of the experiment, the team asked subjects to look at short movie clips — just look, no other instructions — while having their brain activity monitored. Some of the clips had a lot of physics content, others very little. The team found that the more physical content in a clip, the more the key brain regions activated. The findings offer insight into movement disorders such as apraxia, as it’s very possible that people with damage to the motor areas of the brain also have what Fischer calls “a hidden impairment” — trouble making physical judgments. A better understanding of how the brain runs physics calculations could also enrich robot design. A robot built with a physics model, constantly running almost like a video game, could navigate the world more fluidly.